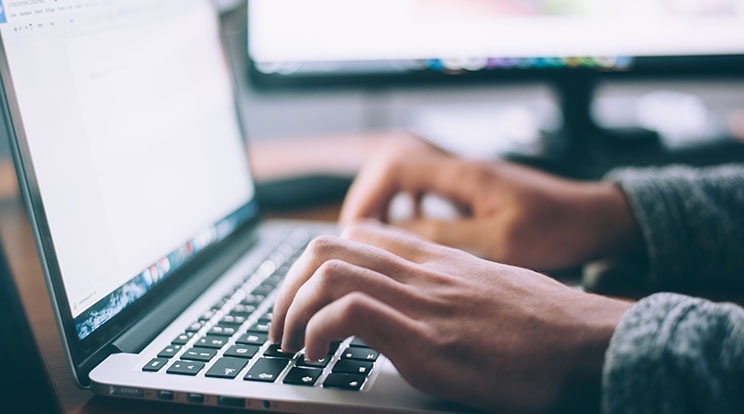 giosg, who provides solutions that enable clients to engage more successfully with their online visitors, receives total funding of €4,5 million from the Swedish fund, Zenith Growth I, part of Zenith Group AB, Business Finland amongst other investors. We are proud to announce that giosg is officially ISO 27001 certified! Thanks to our hardworking crew we now offer our customers the best security practices, showing our continuous commitment to keeping their information secure. The General Data Protection Regulation is due to enter into force in 25th of May 2018. The regulation will introduce new, stricter rules for EU data protection. It affects all companies with business in Europe, including us at giosg as well as most of our customers. The changes brought by the GDPR include requirements about data security and privacy documentation. We have been working with high security industries, such as banking and healthcare, for various years now. This has led us to develop high security features way ahead of GDPR, such as ability to control ip access and to encrypt chat messages. Now our clients across industries can benefit from this development as they prepare for the GDPR. Yesterday evening, Tieto unveiled their new digital startup platform that allows insurers to embrace the latest technology trends for rapid go-to-market and growth. 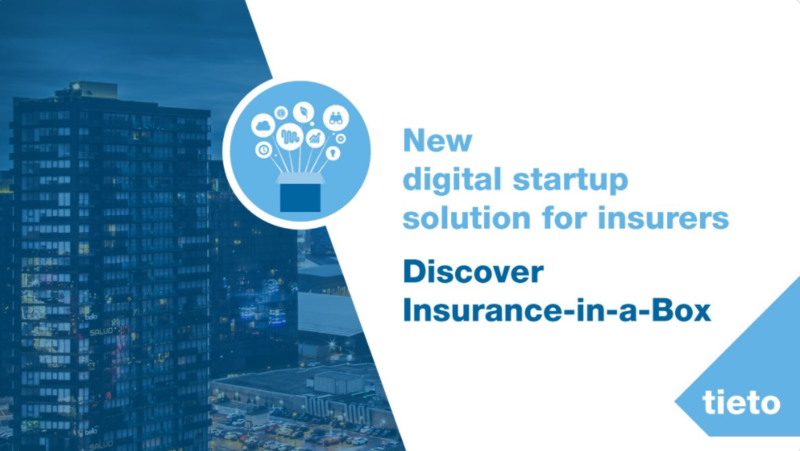 The new ' Insurance-in-a-Box' solution enables insurers to build and launch new products in less than two months, which is significantly faster than the previous 18 months timeframe. We are proud and honoured to announce giosg.com’s newest partnership - a software reseller and resource provider agreement with Online Sverige! Established in 1993, Online Sverige has built tens of millions of relationships between their clients and their customers through telemarketing, customer service, booking meetings and more. 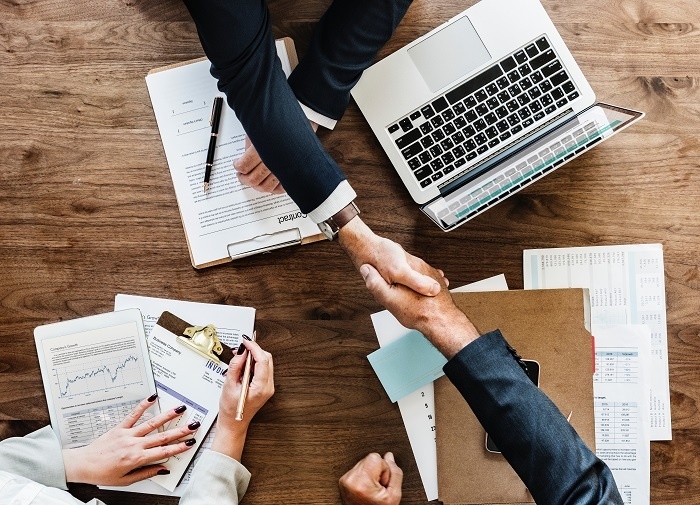 Increasing sales by connecting the right people at the right time using the right technology and channels are at the core of Online Sverige’s business also which is why this new partnership with us is a perfect match. Exciting new partnership for giosg.com! We are thrilled to announce a new software reseller and resource provider partnership with SalgsChat AS. 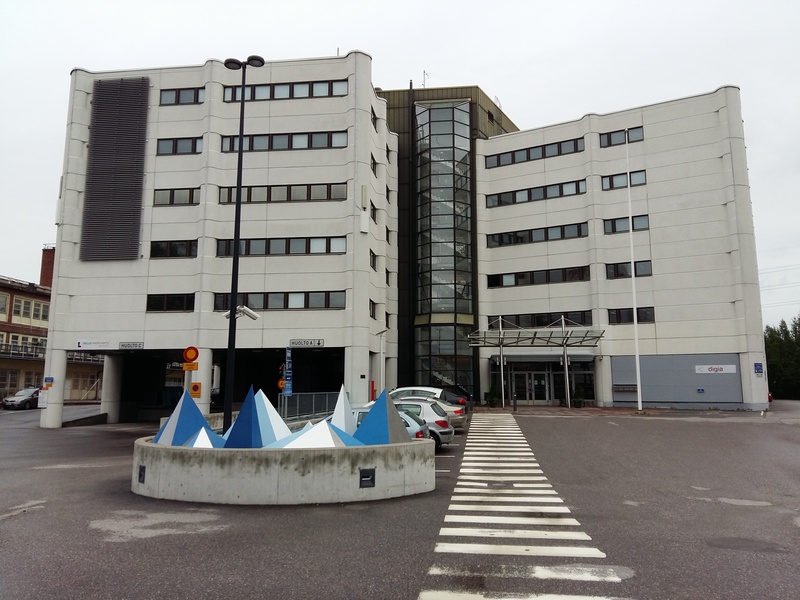 SalgsChat AS is a company-offspring of Consort AS, a norwegian call-center with over 80 employees working with over 50 different companies all over Norway. SalgsChat AS shares location with Consort AS in one of Norway’s biggest and fastest growing areas; the city of Trondheim. 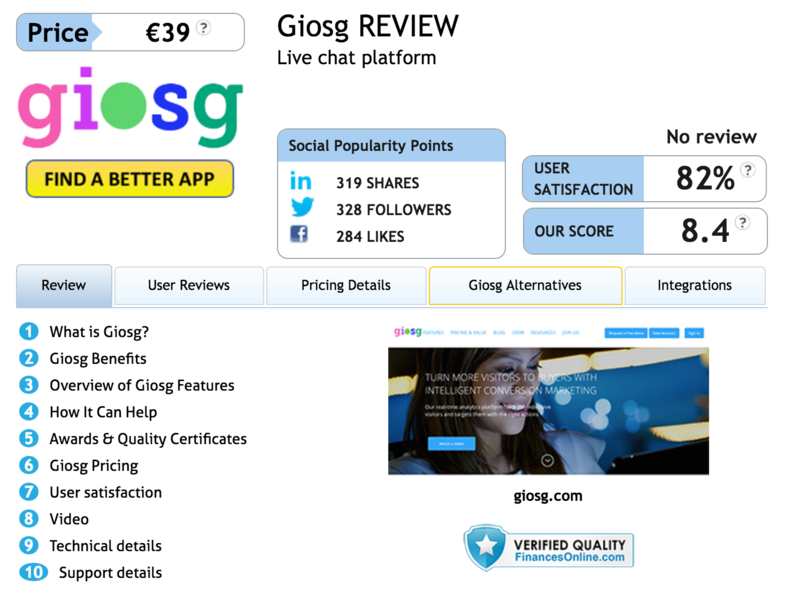 FinancesOnline, the fastest growing independent review platform for SaaS, reviewed Giosg Live chat platform and positioned it as one of the best online customer support software solutions on their platform. In addition they also granted two certificates; one for offering especially good user experience and another one for a product that is especially valuable for companies. Dear customers and partners! We have relocated our head office 1st of July 2016.